I am happy to join Technique Junkies in celebrating a new Illustrator at Technique Junkies Stamps. We have 10 new stamps from Rita Bakarat in the Technique Junkies line! You can see all of the new stamps HERE. If you’ve come from Karen Jiles' blog, you are in the right place. 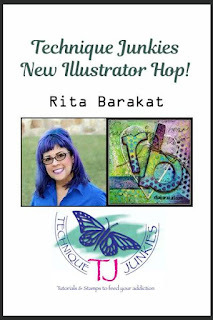 If not head to the Technique Junkies Blog for the start of the hop so you don't miss any of the wonderful projects! And make sure you comment on all the stops along the hop because one lucky person who comments will receive a $25 Technique Junkies Gift Certificate! Comments will be open until Saturday May 19th and the winner will be announced May 20th on the Technique Junkies Blog. First up, I have a really fun shaker card to share with you. Ballerina is such a whimsical design and I love the sentiment, Dance With Your Heart. A perfect pair! Next is a fun little fairy card using the paper piecing technique featuring the Relaxed Fairy. I also used the sentiment, Unicorns and Sparkly. Relaxed Fairy was stamped on several different pieces of coordinating cardstock. I then trimmed out each section and stuck them all together to make a cute patterned image. And finally, one of my favorites from the new collection, Floral Border. I thoroughly enjoyed coloring these beautiful flowers using Spectrum Noir markers. I sure hope you enjoyed the projects I have shared with you today, and all the other wonderful projects along the way. Your next stop is Yolie Burke. Don't forget to post your comments along the way so you can enter the drawing for the $25 certificate to Technique Junkies. Also, remember you can save 10% on your cart by using the code below (some restrictions apply)...and this code never expires! Welcome to another great hop from Technique Junkies with their brand new May releases! It seems Spring is finally here, so we will "spring ahead" with some great projects featuring some great new stamps. All the new releases for May are on sale until May 8th! 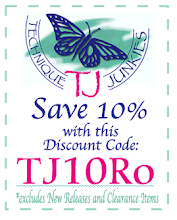 Save 15% off any new release (no code needed, it is automatically applied at checkout). And use the code "TJ10Ro" to save 10% on almost everything else in your cart! And remember, this code is good any time...no expiration. If you have arrived from the creative Janelle, you are in the right place. If not, you may want to start at the VERY BEGINNING so you don't miss any of the wonderful projects the Design Team has to share with you! On to the projects! There are 15 new stamp sets in May. I am happy to highlight FIVE of those sets here. Stamps used are indicated under the photo. If you would like more information on how these cards were done, leave me a comment and I will give you the details. The first set has multiple sentiments for both the outside AND the inside of your cards. No more wondering what to put on the inside! There are TEN stamps in this set!!! This card, created with die cuts and background paper, features a friend from a few months ago. 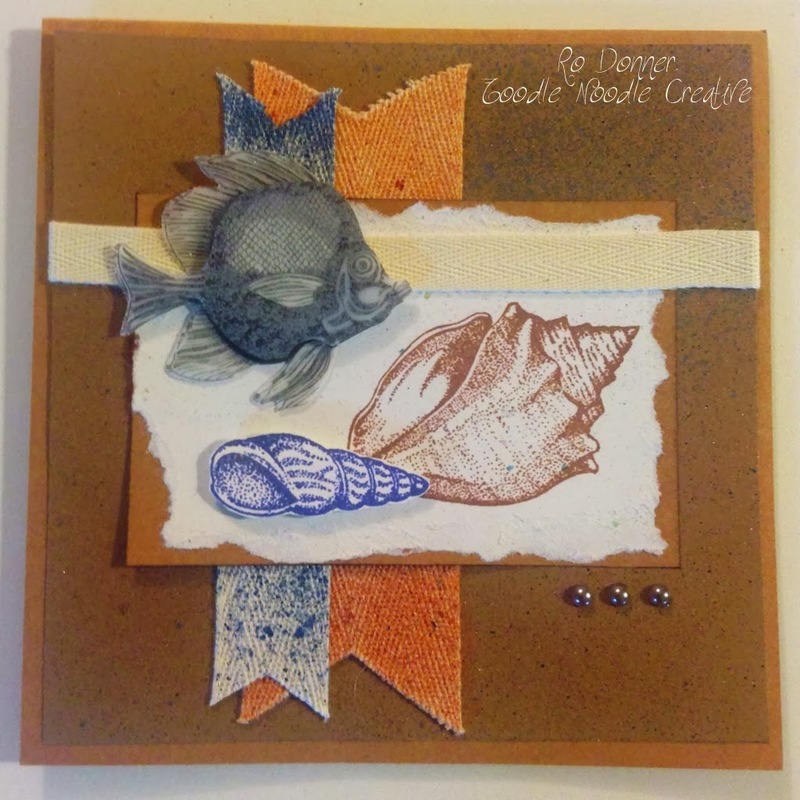 This next card also uses the Inside Out set, along with another beautiful new background stamp. The stamp was inked with pink and green and stamped using the Misti Stamp Positioner. I simply inked a color, then stamped, inked the second color, then stamped, and then the third color and stamped. Next up is a super cute, super fun stamp...just love this lil gal's smile! Isn't she adorable? A fun new set features some adorable owls and great accompanying sentiments. There are four different owls and three sentiments. I chose to use one of the sentiments for the inside of the card too. I have a feeling this next stamp is going to be super-popular! This scene can be used for so many occasions. And a great option for those difficult masculine cards too! I love this stamp! Your next stop on the hop is the super-talented Judy. I'm sure you will love the projects she has to share with you today!